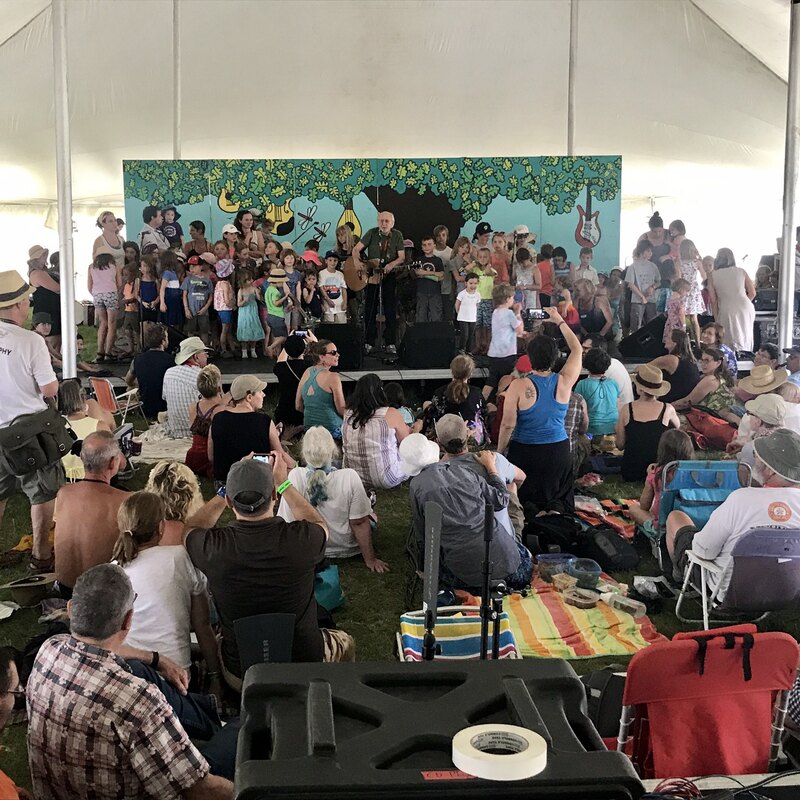 Peter Yarrow called all the kids on stage to sing Puff the Magic Dragon with him. Mazie and Tyler to his right. So great!